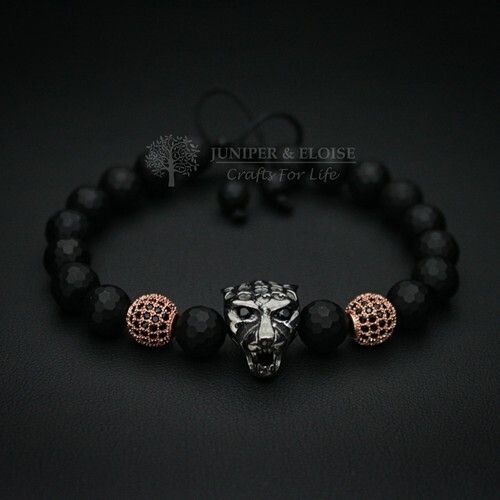 Premium design Black Panther bracelet made with 8mm Grade A Faceted Black Onyx beads and zircon spacer beads. 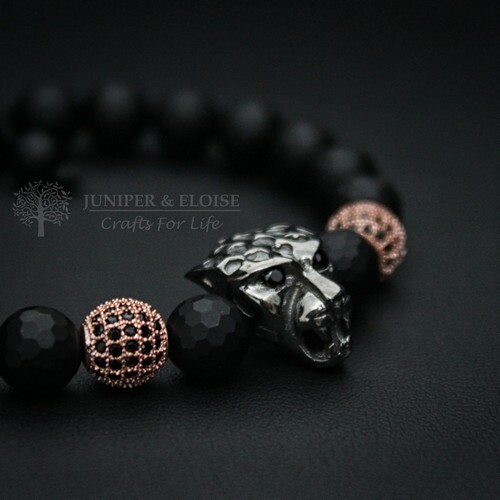 Our signature Black Panther bead has amazing details and a solid look with black CZ Diamond eyes. Bracelet has adjustable closure, utilizing a sliding knot made with macrame string and is easy to put on and take off. 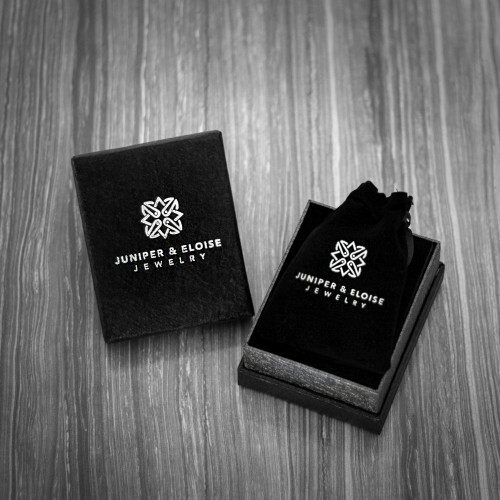 This product comes in black Gift Box. This beaded bracelet is made with 7mm Grade A Matte Faceted Hematite and Green Malachite beads.. This handmade stretch bracelet is made with 8mm Brown Jasper , Blue Variscite and features Gunmetal .. Exclusive matte bracelet made with 10mm faceted Snowflake Obsidian beads featuring Silver spacer bea..